Tamir trembled as his stallion approached Eglon’s army. He was alone on the Arava Road, riding east between the desert mountains. A white cloth flapped upon the old spear he carried high in the early autumn morning. Ehud had promised him he would be safe, that Eglon would not kill a messenger. Tamir trembled nonetheless. He had heard the widow from Naaran, Melil, heavily pregnant, when she arrived at his city of Mizpah. She described the massacre. How Eglon’s hordes overwhelmed the lightly defended city and burned the survivors. Melil had described Eglon as relishing the bloodshed. The sobbing widow urged the people of Mizpah to surrender and then left on her mare to warn the next city. Then Ehud had appeared with his bride, Blimah. Ehud too had pleaded with the elders of Mizpah that they should surrender. Ehud had been pleased to see Tamir, his former apprentice and placed on him this mission. A message to Eglon. Moabite scouts spotted Tamir and kept their drawn arrows aimed at the messenger. A scout rode ahead on the road and confronted Tamir. “What is your business here, Hebrew?” the scout asked. “A have a message for Eglon,” Tamir said nervously. “Follow me.” The scout led Tamir into the massive Moabite formation and to a chariot carrying the large monarch. Galkak on his mare was next to the chariot. The army was camped right outside the city of Michmash. The gate lay open as Moabite soldiers and Benjaminite residents entered and exited the city. Michmash had surrendered as soon as Eglon’s army had come into sight. “A Hebrew messenger,” the scout announced. “From Ehud of Benjamin,” Tamir held out a papyrus scroll. Your Majesty, Emperor Eglon, Ruler of Moab, Ammon, Amalek and Conqueror of Canaan, God be with you. I am pained to be separated from your side. After the ambush on the Arava Road, Blimah and I were waylaid by the ambushers. We were able to escape, but it delayed our reunion with your forces. I decided I would be of greatest use by proceeding ahead to encourage a peaceful resolution of your objectives. I look forward to looking upon your countenance soon. “I left him at Mizpah, but I believe he was heading south into the tribe of Judah,” Tamir answered. “I would like you to find him and take a message back to him,” Eglon said. Eglon removed some papyrus and a quill from a compartment in his chariot. He scribbled something quickly, rolled and tied the scroll and gave it to Tamir. “What if I can’t find Ehud?” Tamir asked. “Then we shall hunt you down and kill you,” Eglon said with a smile. “I will find him.” Tamir swallowed and trotted out of the camp quickly. “You’re a great motivator, Boss,” Galkak said. “Fear and greed, Galkak. Fear and greed.” Eglon looked at the receding Tamir. Ehud and Blimah rode to Bethlehem warily. They had found fresh mounts in Mizpah and made good time on the road south. On either side of the road were golden fields of wheat. The ramparts of the city were well-manned and the gate was only slightly ajar with a company of soldiers guarding the entrance. “The marriage?” Blimah asked as she adjusted the dagger at her belt. A figure ran out of the gate of Bethlehem. Ehud immediately knew who the blur was that approached with superhuman speed. Ehud raised his sword. In response, a sword clanged against his own, aimed at Ehud’s neck. The sword was held by Boaz. Boaz looked at Blimah as if noticing her for the first time. The trio entered Bethlehem and arrived at Boaz’s large stone house. The front of the house was a bakery. The scent of freshly baked bread wafted in the air. “Vered! 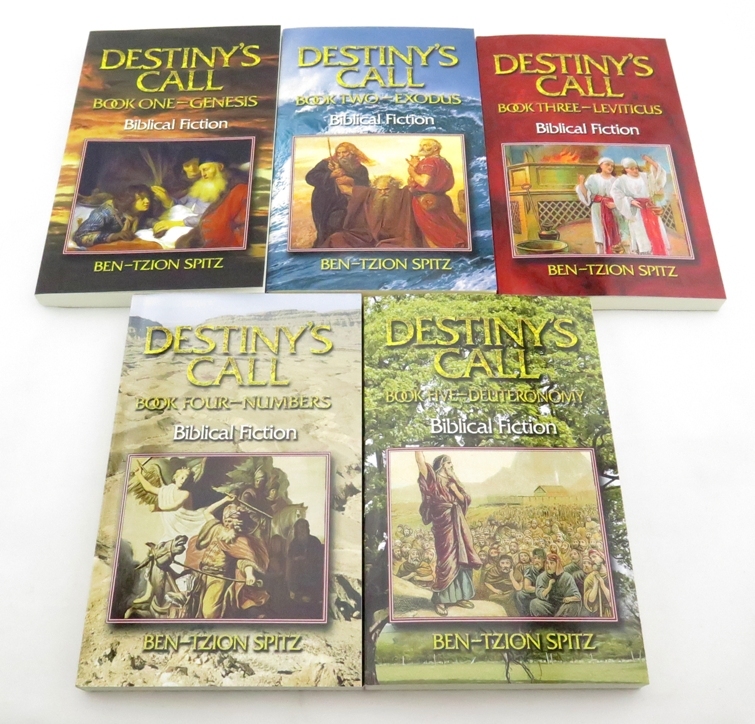 We have company!” Boaz called out. Vered entered the bakery with a flour covered apron over her simple beige dress, and a white head-shawl tightly wrapped around her long red tresses. Boaz directed their guests to the large oak table and Vered brought out fresh pitas and rolls, together with olive oil and some vegetables. Vered showed them a basin with water where they could wash. The four sat down and ate quietly. Blimah looked at Ehud. “I’d rather stay with my husband while I still have him.” Blimah tightened her grip on her dagger below the view of the others. “Must be a newlywed thing,” Vered answered. “Well, I have work to do. If you’ll excuse me.” Vered got up from the table and left the room. Boaz looked at Ehud in silence. He then closed his eyes and sought Ehud’s inner essence with his Vision. Boaz opened his eyes. “This is difficult to accept,” Boaz said. Boaz ran his hand over his full red beard. “Blimah.” Boaz looked at Ehud’s wife through narrowed eyes. “Was this a marriage of love or convenience?” Boaz asked. “Both,” the couple answered simultaneously. An urgent knock on the door interrupted them. Boaz opened the door and let a breathless Tamir in. “Message for Ehud,” Tamir gasped. “What is it?” Ehud got up. “From Eglon. He said he’d hunt me down and kill me if I didn’t find you.” Tamir held out the scroll for Ehud. Ehud took the scroll, untied and read it. He handed it to Boaz. It pleases me no end to hear of your survival and efforts for our cause. Please convene the leaders of the tribes of Israel that I may seek a speedy resolution of our disagreement. I grow impatient and would hate to take out my disappointment on my favorite Israelite or his lovely wife. “Or a loved one?” Boaz looked at Blimah. Boaz escorted Ehud and Blimah to the gate of Bethlehem. Vered prepared food for them to take on the road. As they reach the gate they spot a horseman riding to the city at breakneck speed. The horseman was Amitai, Boaz’s closest friend. “I think it is time for us to leave,” Ehud said. “You’re not going to help?” Amitai asked incredulously. Ehud and Blimah rode away from Bethlehem. 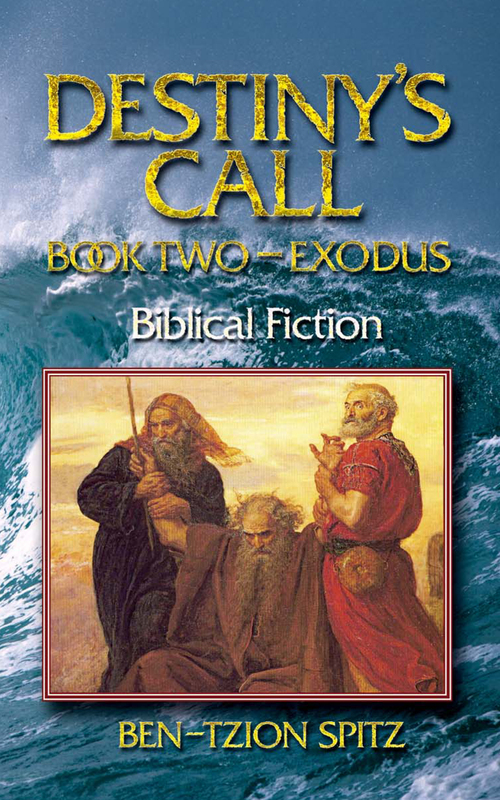 With a pained look on his face, Boaz gazed silently at Ehud and Blimah riding into the distance.